There are several styles available within this assortment and unfortunately it is not possible to request which one you would prefer, so please allow us to pick one on your behalf for online orders. 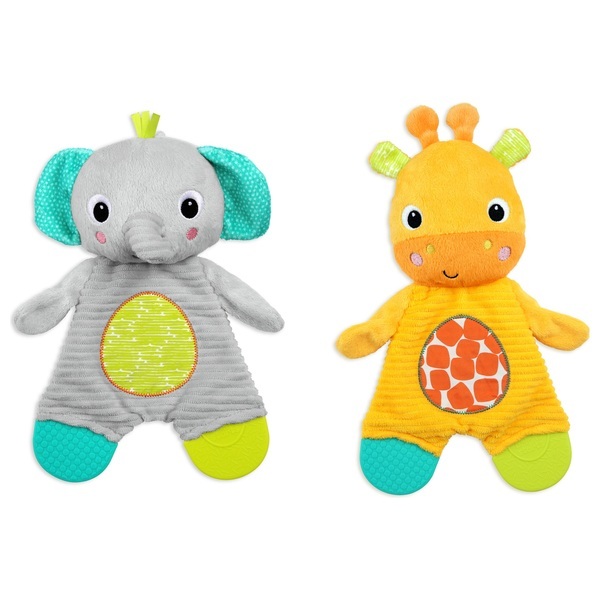 These soft plush buddies are fun to cuddle, and their feet double as teethers to soothe aching gums. The Bright Starts Snuggle & Teethe feature soft fabrics, crinkle sound, and soft plastic teethers making them the perfect pal. Fun comes first!